On the Sunny Side (1942) and You, John Jones! (1943) give us a look at the wartime experience of children, as the movies viewed it, during World War II, particularly acknowledging how fortunate American children were compared to their counterparts in war zones. We were encouraged to be both grateful as well as compassionate. If there was also sometimes a sense of pride thrown into the mix, well, genuine humility is unfortunately not always our strong suit as a nation. Still, we might imagine that much of the pride in our relative safety was borne of overwhelming relief. This is our second entry in our series on childhood during World War II. Roddy McDowall, whom we saw last week in The Pied Piper (1942), stars as well in On the Sunny Side, made in the same year. 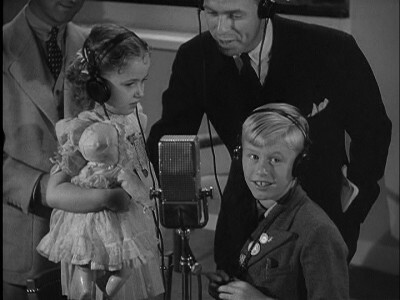 Roddy had made a great impression on audiences in How Green Was My Valley (1941), and became one of the most recognizable, certainly one of the youngest, members of Hollywood’s “British Colony.” He, his mother, and sister left Great Britain in 1940, an era when Dunkirk, the Blitzkrieg, and what appeared to be imminent invasion by the Nazis brought many Brits to the conclusion that London was no longer safe for their children. Roddy knew something about the role he was going to play next. 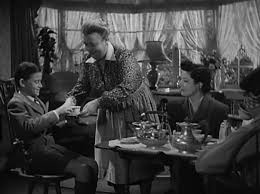 In On the Sunny Side, Master Roddy is an English boy sent to live with a family in the United States for the duration of the war. 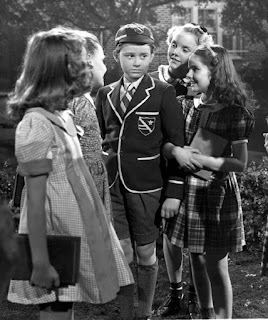 In the company of a group of other child evacuees, all traveling without their parents, he arrives on a ship to New York, bound for the Midwest home of husband and wife Donald Douglas and Katharine Alexander, and their boy played by Freddie Mercer, who is nearly the same age as Roddy. Their parents were acquainted from a previous trip to England, good enough friends to be trusted with the care of their child. His father is an RAF officer, and his mother is played by Jill Esmond, who also played his mum in The Pied Piper. Jane Darwell is their housekeeper. Much of the story is a fairly routine plot of a boy in strange surroundings who makes friends and becomes part of the family/community. 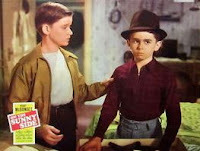 Freddie Mercer lets Roddy into his gang, which, with a clubhouse in the woods that is an old abandoned bus, seems a lot like the kids from the Our Gang series, but less scruffy, and not as funny. Indeed, they are a rather serious and doleful group of youngsters, but the grownups writing and producing this story are perhaps projecting their own seriousness on the nice American squeaky clean world they’ve set up for the kids. 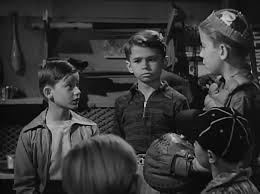 But, like the Our Gang kids, they even have a bully to fear: Stanley Clements, whose tough wise-guy talk made him the leader of the pack in Going My Way (1945) and in future Bowery Boys films. Ann Todd plays a classmate who, like most of the girls in the class, fancies gallant Roddy. A guy with an English accent can really clean up in this town. 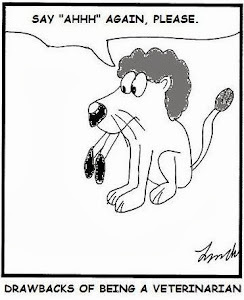 The climax occurs when Freddie gets fed up with everybody’s fussing over the new kid, so much so that he becomes jealous and wants to run away from home. Freddie, who came to Hollywood on his singing talents as a noted symphony and choir soloist, also had a bit part in Going My Way. Here he’s funny as he sputters about the tea-drinking English kid ruining his life, but he draws our sympathy, and Roddy’s. Though the grownups are firmly in charge, the story is really presented from the viewpoint of the kids, and they have the most screen time. Though we might wish for a deeper story less focused on report cards, bullies, and gosh-gee-whiz dialogue, it is true that the prosaic troubles faced by the kids in the story really do reflect what’s important to children. The adults may be reading the war headlines, but the kids—at least in the U.S.—are more driven by the realities of their world of making friends, doing chores, and worrying about what others think of them. We might note that the boys’ teaming up and eventually conquering the bully is a parallel to the U.S. and Britain teaming up to fight the fascists. The movie does give us a few quite poignant scenes that hit on the broader crisis: The British kids on board ship, gathering at the rail to watch the Statue of Liberty slide by as they enter New York. Roddy’s panic and nightmares when he hears a police siren, as it reminds him of the air raid sirens and emergency vehicles of the Blitz back home. Most especially, the scene where a group of British kids are gathered in a New York radio studio, Roddy among them, to speak to their parents in a London studio via short wave. The anxiety on the faces of the separate shots of kids and parents, their hesitancy to be too personal on the radio, their brave front of trying to give cheerful messages, and the cruel brevity of the time they are allowed create an image of both tenderness and anguish. Tears are fought back. Roddy, who even from a very young age was so good working before a camera, shows a myriad of feelings with the just the slight flickering of expressions on his face, in his lovely dark eyes. He is nervous, then he warms up and excitedly tells his mother about his new life and friends, comically using American expressions he has learned that he must translate to her. When his time is up, he realizes he has forgotten to use the notes he made beforehand of all the things he really wanted to say. The evacuation of children from the London area had them seeking refuge in other parts of the U.K., in many dominion nations, including Canada, and also in the U.S., and involved children of every class. Vera Brittain, noted British writer whose memoir of World War I, Testament of Youth, perhaps is more well known, at least in this country, than her other works, sent her two children away from their London home to stay with friends in Minnesota during the war. Her son John was twelve at the time, the age of the boys in On the Sunny Side, and her daughter Shirley (a future member of Parliament), was not quite ten years old. Her children left from Liverpool after Dunkirk, just missing the start of the Blitzkrieg and bombing of London by a matter of weeks. They remained in the U.S. for three years, coming home, separately, in 1943. She writes in her diary of the anguish of not receiving letters, then receiving them and learning her son has grown taller than she, and they are changing, experiencing new adventures in summer camp and in school where the curriculum is different. Missing birthdays and Christmas. At one point, Vera Brittain notes that her husband urged her to go to the movies to take her mind off their troubles. The children who remained in war zones with no avenue of safety were the subject of You, John Jones! (1943) a short subject about ten minutes long, directed by Mervyn LeRoy, starring James Cagney as an All-American dad who works as a supervisor in an airplane factory during the war, and also does his bit at night as a volunteer air raid warden. Ann Sothern plays his wife, and their daughter is Margaret O’Brien. When he arrives home from work, little Margaret is practicing her speech for an elocution contest, soberly delivering President Abraham Lincoln’s Gettysburg Address while perched on the living room window seat. There are politicians who can’t deliver a speech as well as Margaret. Perhaps they never “stumped” on a window seat. Cagney leaves for his night watch, dressed in his trench coat with the Civil Defense armband and his helmet. He sits on a park bench for a little plane spotting and considers how lucky he is to be living in a land where he is not likely to see an enemy bomber tonight. The omniscient narrator, presumably his conscience, and ours, addresses Cagney (or John Jones), reminding him that if they were in other lands, his little Margaret, “Your baby, John Jones, your baby!” would be in danger. Then we have a montage of scenes of Margaret as an English girl in the Blitz; as a Greek girl, her leg amputated, trudging with an amputation along a line of refugees; of a girl from Yugoslavia sobbing over a dead mother; from “Australasia” – quite a stunning image of Margaret looking hollow-eyed and shell shocked, then as the camera pans back, we see she is a prisoner of war behind barbed wire. Margaret, as a Russian girl, lies dead in the ruins of a bombed out house. Then an attack occurs, but Cagney realizes it is only a dream. (Sleeping on duty!) He returns home, and Margaret finishes her speech with earnest, one may say almost fanatical delivery. You can have a look at You, John Jones! here. Kids here in the U.S. may have largely been spared the scenes little Margaret faced, but they were not without trauma caused by the war. Come back next Thursday when we discuss the March of Time documentary Youth in Crisis (1943), and the Youth Runs Wild (1944) starring Bonita Granville. Wartime Chronicle - Vera Brittain's Diary 1939-1945, eds. Alan Bishop & Y. Aleksandra Bennett, Victor Gollancz Ltd, 1989. 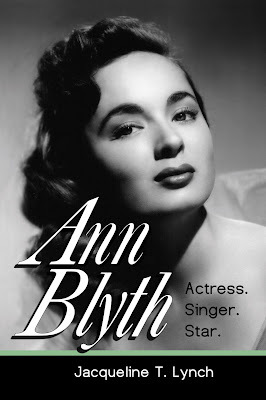 The audio book for Ann Blyth: Actress. Singer. Star. 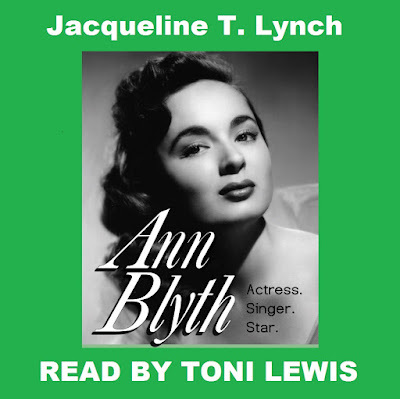 is now for sale on Audible.com, and on Amazon and iTunes. Also in paperback and eBook from Amazon, CreateSpace, and my Etsy shop: LynchTwinsPublishing. Labels: Ann Sothern, Ann Todd, Donald Douglas, Freddie Mercer, James Cagney, Jane Darwell, Jill Esmond, Margaret O'Brien, On the Sunny Side, Roddy McDowall, Stanley Clements, Vera Brittain, You John Jones! I was not aware of Sunny Side Up. Young Roddy is particularly appealing, and he always retained that trait. A film like You, John Jones can sometimes seem like too much, but at its core it has an important point to make. Lionel Barrymore was on the money when he said of young Margaret O'Brien that in an earlier age she would have been burned as a witch. Overwhelming ability. I love that quote by Barrymore -- my laugh for the day. The above comment is from yours truly, Caftan Woman. Janet had been using my computer and when I came back I didn't log out from her stuff. I'm technologically troubled and she's forgetful. 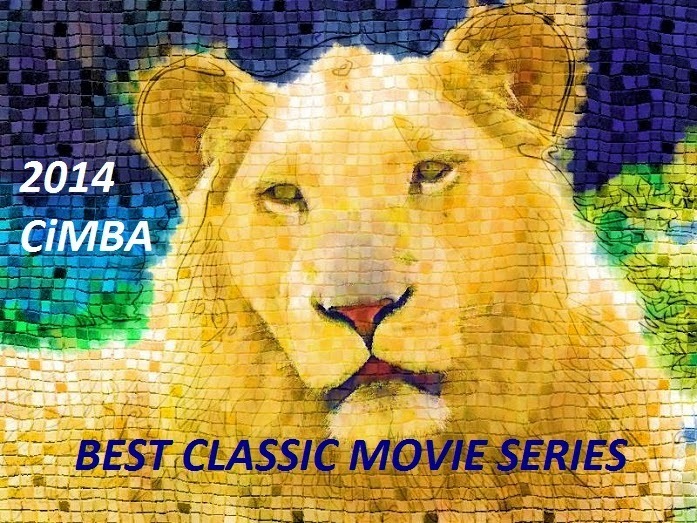 New Robert Wise Book - - and 2 Blogathons!